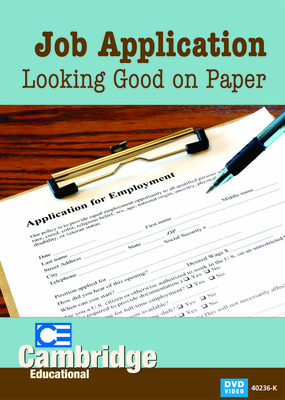 Job applicants need to portray themselves in their best light on paper before they even get a chance at a job interview. This video explores how job applicants can strengthen their ability to sell their experience and skills in writing. The program instructions students on how to organize and promote their skills which is helpful when they are trying to find their first job or transitioning into a new job. 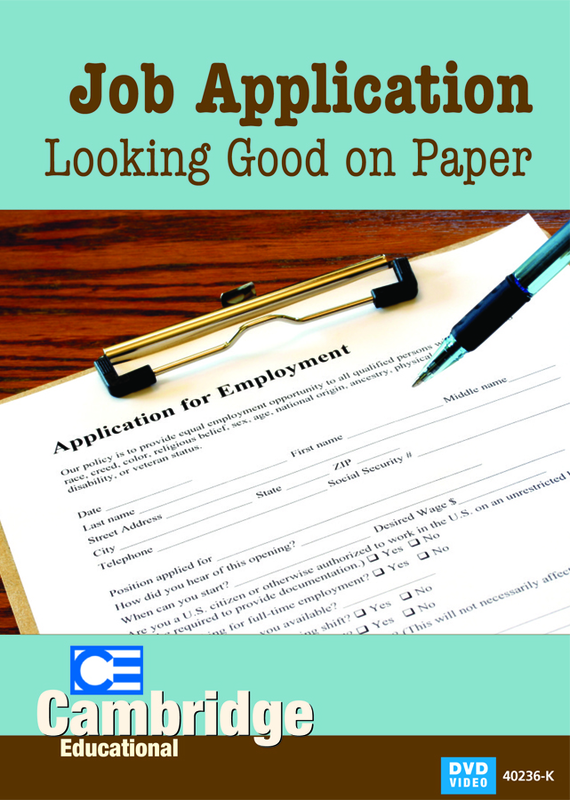 The video starts off with goal setting and guides the viewer through the most important components of the paper job application include cover letters and resumes. Job Application: Skills Identification (03:34) � Generic or �soft� skills are learned throughout life, and are relevant for every job. Applicants must identify their soft skills and decide which ones to focus on. How to Find Job Availabilities (03:24) � Explains how to find jobs in newspapers, on the internet, and through cold calling and networking. How to Write a Cover Letter (04:27) � An important part of the paper application, the cover letter can be a major difference maker. How to Write a Resume (05:33) � A large segment is dedicated to writing a resume with all of the key components: career and employment objectives, skills, education, contact information, and references. How to Respond to Selection Criteria Questions (04:14) � Some jobs require criteria questions, such as government jobs, and the STAR method is discussed.